HEMP OIL contains one of the highest level in essential fatty acids and linolenic acid (76%). These EFAs present the ideal ratio between omega 6 and omega 3, which has been shown to be 3 to 1: they bring the necessary phospholipids to build up the cell membrans and the 3 to 1 ration is required in the human body for proper cell growth. 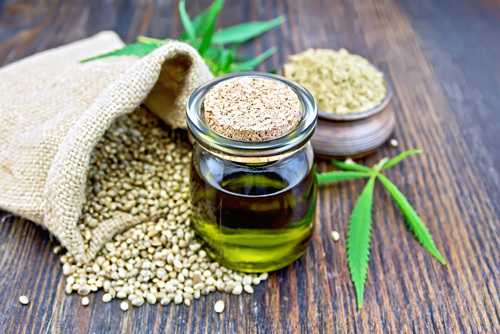 Due to this favorable fatty acid composition, HEMP SEED OIL is used for dry skin, atopic skin, irritated and sensitive skin as well as baby care and dammaged hair care.